Rihanna swims with sharks for her Harper's BAZAAR cover... but actually. Rihanna -- one of the entertainment industry's most badass women -- defends that very title this month on the cover of Harper's BAZAAR by swimming with sharks. She faced off with three monstrous predators for the cameras in this incredible shoot, proving she's more fearless than ever. Swimming with sharks may be scary, but it's also a metaphor for life. When asked about the sharks of life, Rihanna said "I try my best to avoid the sharks of life, but I have had my share of experiences with them, and in those cases I just have to handle them accordingly. But I do not swim with sharks ... sharks swim with sharks." She may be fearless on the red carpet, but BAZAAR asked her if she'd fearless in life, too. "I think I'm like most people," Rihanna said, "We fear the unknown and the things that have yet to come to pass, which are the very things that don't deserve to be feared. When you give God complete control, it's very hard not to be fearless." Click through above to see more photos from Rihanna's shoot.See the full photo shoot for Harper's BAZAAR here. 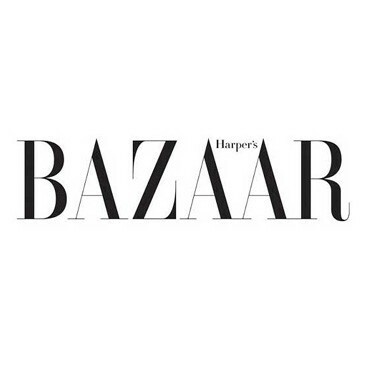 The March issue of Harper'sBAZAAR hits newsstands on February 17, 2015.